Our designs can be delightfully unconventional as you’ll find when you scroll through the galleries. Nevertheless, we aim to provide all sorts of interesting emoticons for our Facebook fans to use! 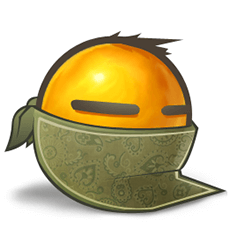 This bandit emoticon is pretty unique so go ahead and use him in your next chat message or share on a friend’s timeline.